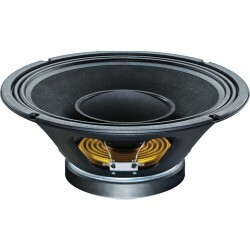 12" twin cone drive unit with extended high frequency response. 1.75" high temperature copper voice coil for increased reliability and 100Wrms (AES standard) power handling. 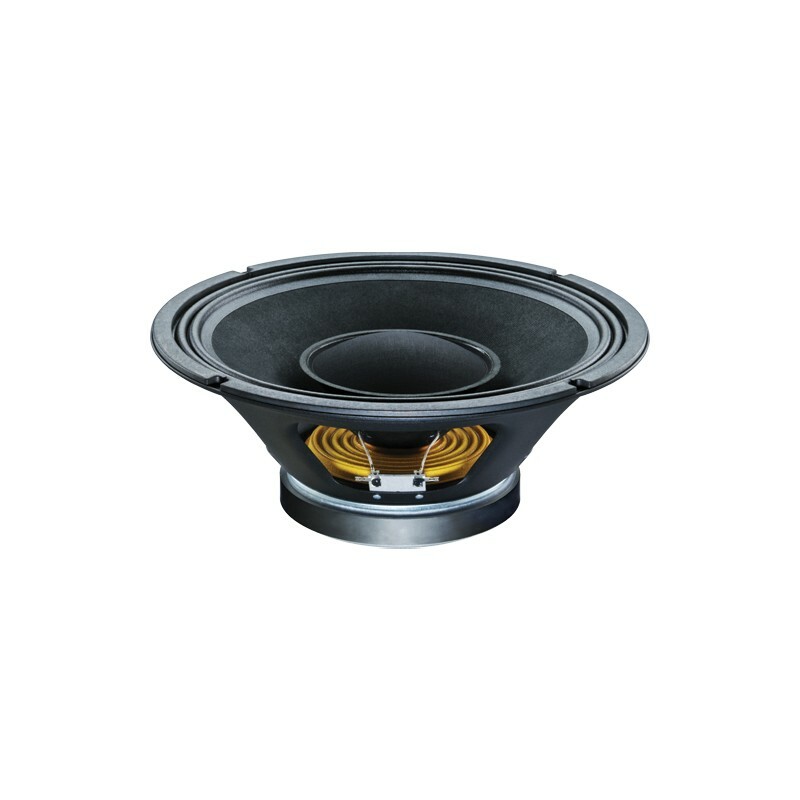 Optimised cone neck/voice coil assembly for increased strength, minimising high frequency distortion and improving sound quality. Secondary cone terminated by pressure formed cloth dust cap for enhanced mid-band clarity. High efficiency magnet structure design delivers improved sensitivity. Double roll surround for greater excursion control and smooth frequency response.